Ailsa’s Travel Theme challenge on Where’s My Backpack? 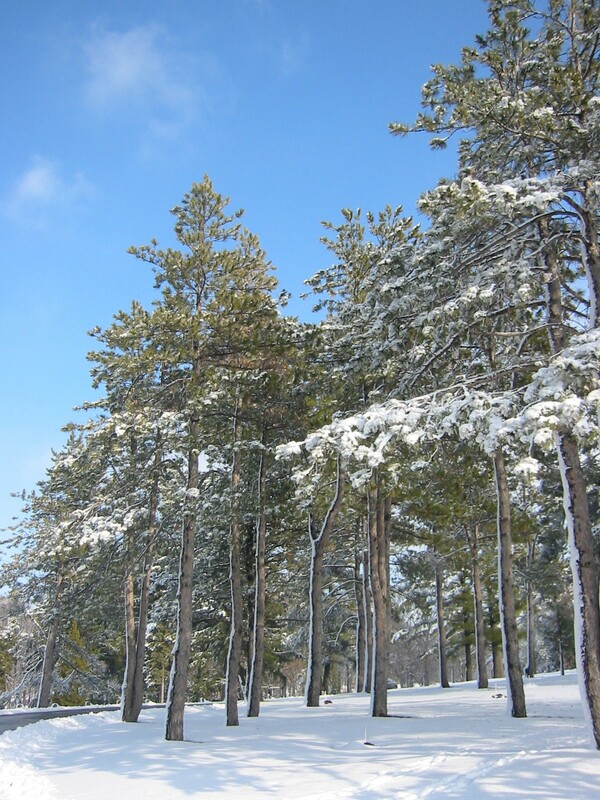 at http://wheresmybackpack.com/2013/12/20/travel-theme-winter/ is Winter. I don’t do much in the way of traveling anyway, even in the best of conditions, but especially not in the winter, unless I really have to. Most of my winter shots have been captured much closer to home. 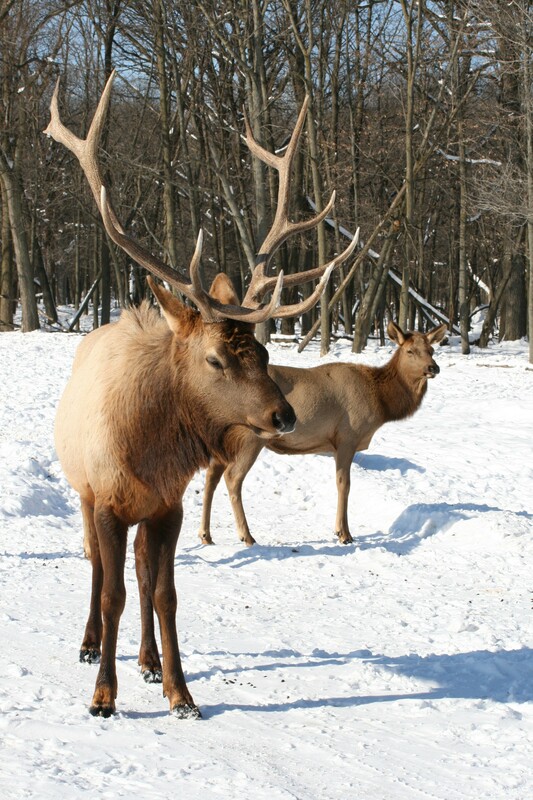 The elk are well taken care of during the winter months in Elk Grove Village. 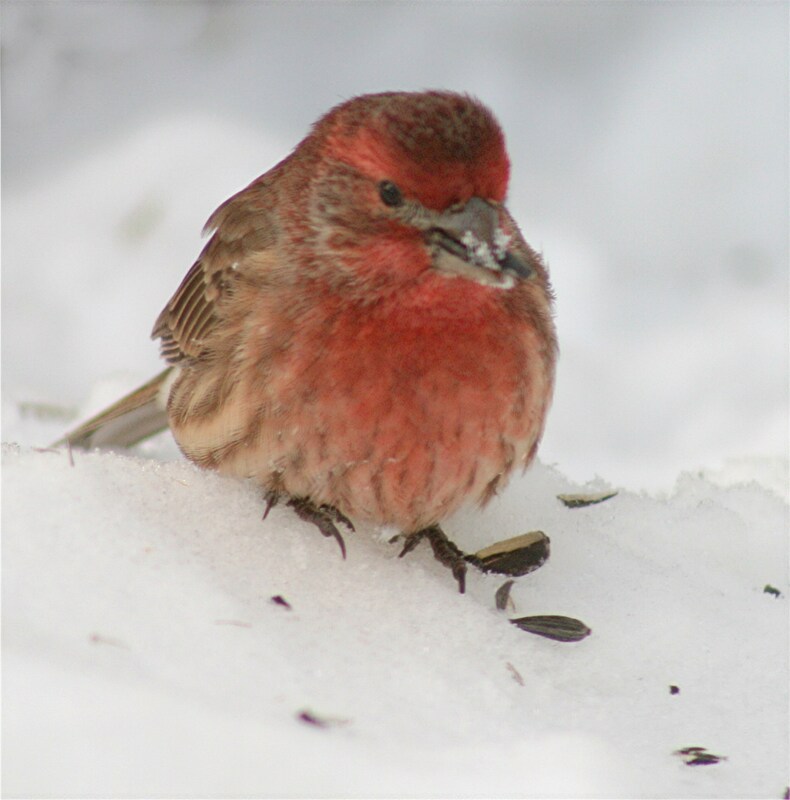 A purple finch manages to find a few remnants of seed left by the sparrows that seem to have taken over the bird feeders in our garden this winter. 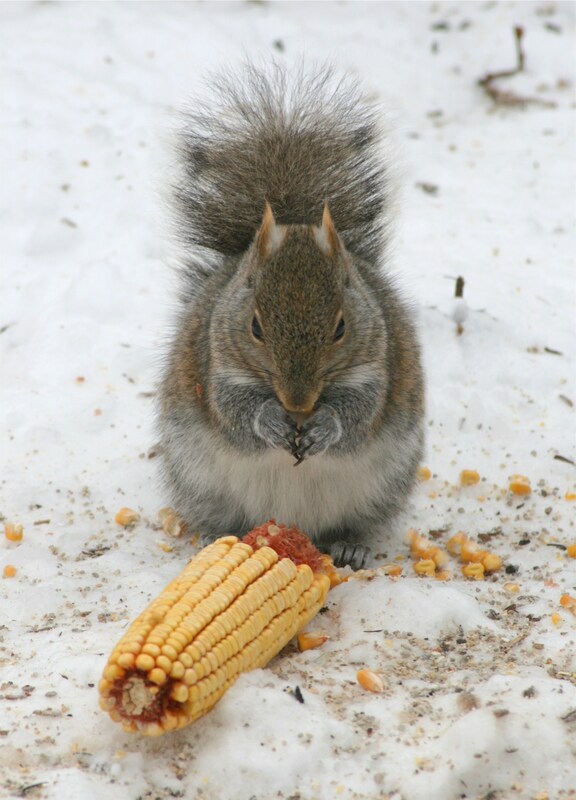 The squirrels are regular visitors in our garden during the winter. They know I’m a soft touch! The beauty of winter at the Morton Arboretum. 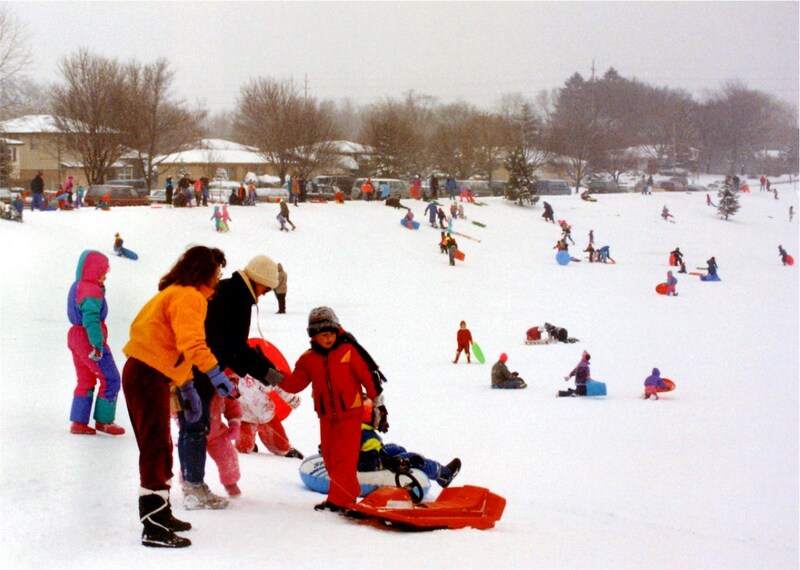 Families make the most of a gloomy winter day, sledding on the hill at our local park. 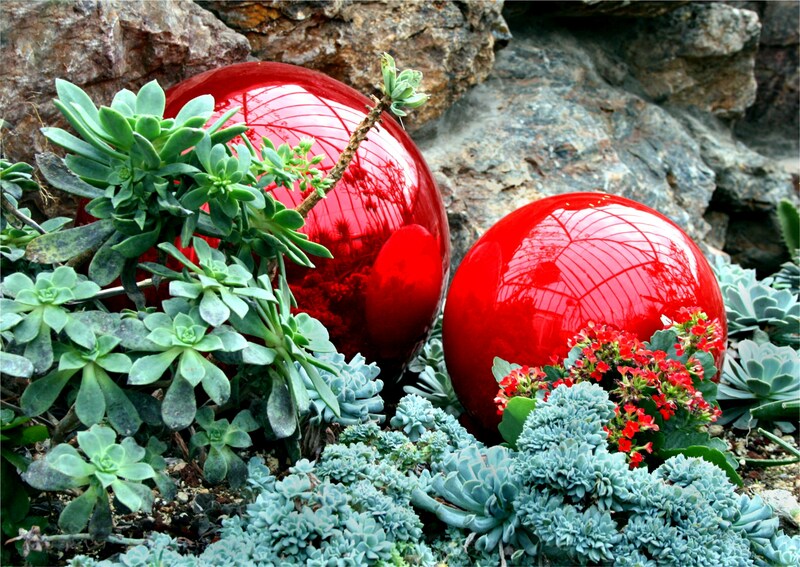 The Chicago Botanic Garden celebrates winter and Christmas in particular in the greenhouses. Great shot of the Elk. It looks like you’ve gotten rather close. They are very skittish in the wild. As I moved close they moved away. Thank you! The elk are so used to people visiting and taking pictures. They seem quite happy to pose for the camera. Magnificent elk! 🙂 Merry Christmas, Sue! Thanks! The same to you, Jo! These are so pretty. I love the one of the elk. Merry Christmas! Lovely pictures especially snow scenes. Why travel when you got all that on your doorstep. Thank you! Yes, we are lucky that we don’t have to go too far to see some pretty scenery.